While this is a relatively leisurely tour, members should be aware that there will be a number of extended walking tours (up to two kilometres), some of which will be over cobblestone surfaces. Good walking shoes are highly recommended and members should have no mobility issues to fully enjoy this itinerary. For 2019, our enchanting journey through Romania is now combined with the truly unique Republic of Moldova. For almost thirty years, these two lands have been free of the Soviet yoke but each has developed in its own way. Romania, known for the pastoral lands of Transylvania and the home of the legendary Count Dracula, has much to offer; the influences of Romanian, Hungarian and German cultures that existed side-by-side for hundreds of years, awe-inspiring UNESCO World Heritage Sites and the eye-catching Painted Monasteries of Moldavia. Tiny by world standards, Moldova is nestled against the eastern border of Romania. Part of Romania until 1940, the country was part of the Soviet Union until 1991. Visiting Moldova is a little like stepping back in time to the Soviet era and beyond. Join us as we discover the unique heritage and sites of these two lands. By design this will be a small group; we strongly recommend that you book early. Group members gather for the overnight direct flight to Bucharest, the capital of Romania. Enjoy a walking tour of the old city centre and visit the Palace of the Parliament, known as the People’s Palace. It is the second largest building in the world and the symbol of the Ceausescu era. Completed in 1989, it is constructed of the best materials and craftsmanship that Romania could provide. Then we visit the Ceausescu Family Residence, also known as “Spring Palace”. Lunch today will be at the Pescarus Restaurant overlooking Herastrau Lake. Finally we visit the open-air National Village Museum, a cultural village with wooden homes from around Romania. 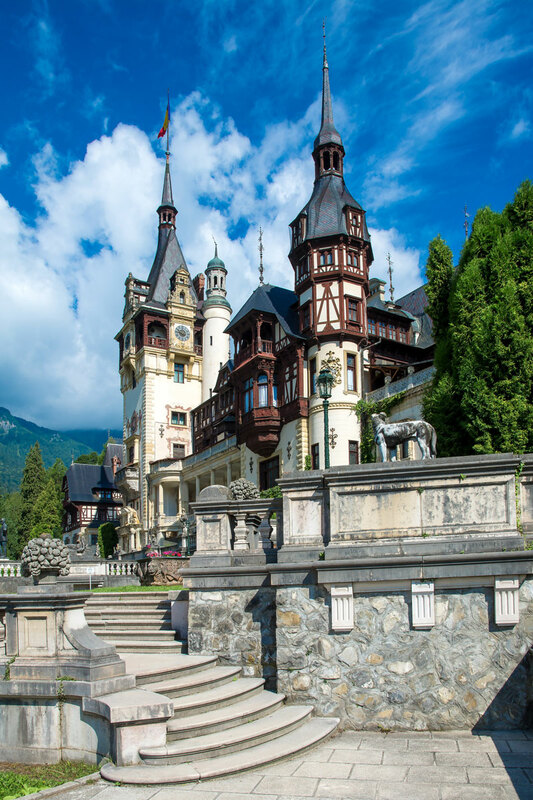 We drive north through Prahova Valley into Transylvania with our first stop at Peles Royal Palace in Sinaia. Built by Romania’s first King, Carol I of the Hohenzollern dynasty, in a German Neo Renaissance style, it is richly decorated in wood and is one of the most beautiful palaces in Romania. We continue our trip to Azuga, where we visit Rhein Cellars for a champagne tasting and lunch. Brasov is surrounded by the Southern Carpathians and is part of the Transylvania region. The oldest traces of human activity and settlements date back to the Neolithic age (about 9,500 BC) and research has uncovered continuous traces of human settlements since then. 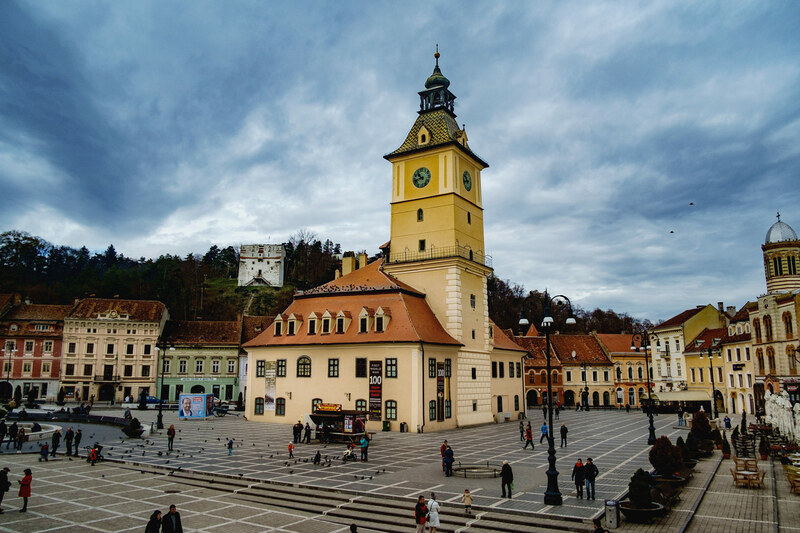 We begin our day with a walking tour of the Old Town of Brasov, including the famous “Black Church”, the largest Gothic cathedral in Romania. 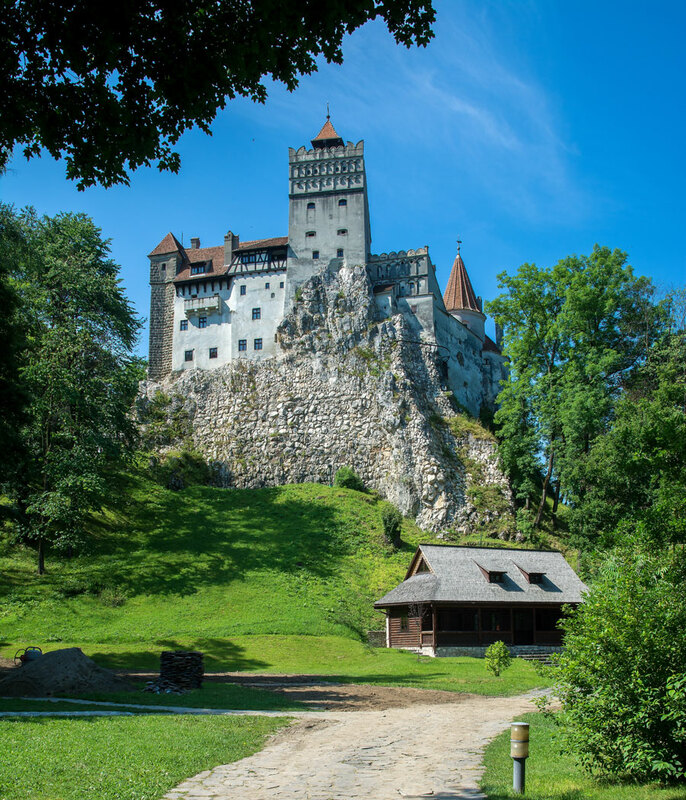 Then we drive out to Bran Castle, a national treasure that is commonly known as Dracula’s Castle, for reasons that will become very apparent. This is the location usually associated with Bram Stoker’s Dracula. Today we will visit it enjoying the dramatic legends, the period furniture and the small open-air museum containing typical peasant dwellings. After lunch, we drive back to Brasov and enjoy free time to explore the lovely old town on our own. Dinner is in the heart of Brasov old town with folkloric music and dances. We continue our drive through the beautiful landscapes of Transylvania, stopping en route to Sighisoara to visit historic Rupea Fortress. Rebuilt several times over the centuries, it provides excellent insights into the turmoil of the medieval times. 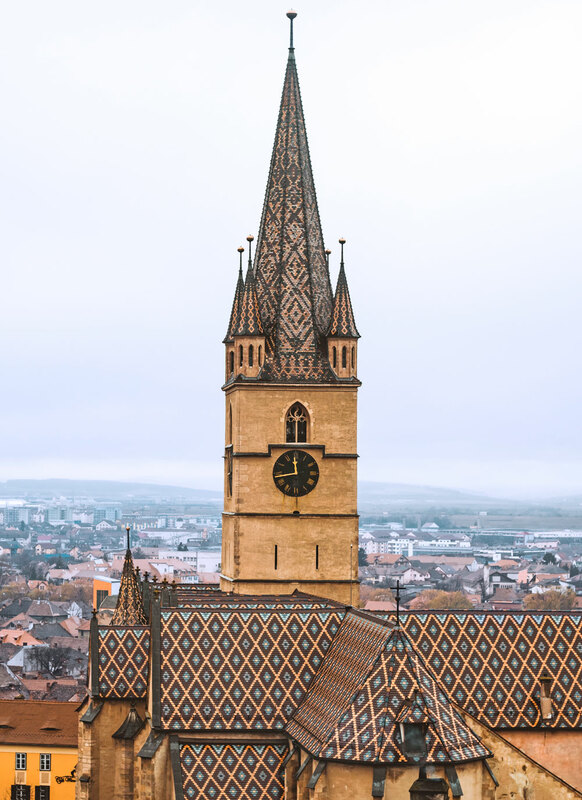 Sighisoara, founded by German craftsmen and merchants known as the Saxons of Transylvania, is a fine example of a small, fortified medieval town which played an important strategic and commercial role on the fringes of central Europe for several centuries. It sits on a small hill overlooking the Târnava Mare River and is reputed to be the birthplace of Count Dracula. In the Old Town, which is still partially surrounded by walls, we will see the Clock Tower, the History Museum and the Torture Chamber. This afternoon we continue into Targu Mures. Time permitting, we will be taken on a panoramic tour of the city centre, noted for its Art Nouveau architecture, most dating from the early 20th century. 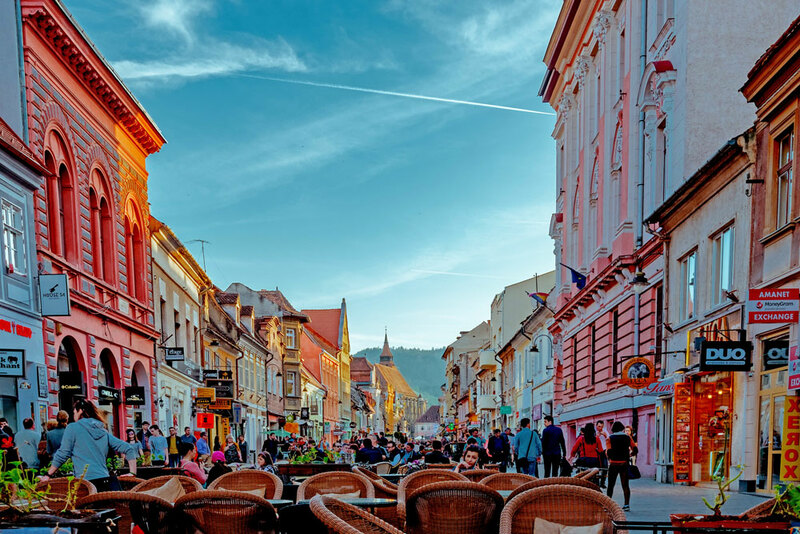 The city of Sibiu is a treasure trove of historic buildings mostly centred on the two Town Squares, logically called Piata Mare and Piata Mica, translating to large and small. We will explore this delightful centre this morning, viewing the Council Tower, Gates and Stairs, the important churches and the Bridge of Lies. We will then continue to nearby Sibiel village, set like a jewel on the Sibiel River and surrounded by low mountains. Enjoy a special lunch in Casa Andrei featuring music and dances from the region. The highlight of our visit will be the Zosim Oancea Museum of the Icons on Glass, where we shall see a wonderful collections of glass, wood, and pottery. We journey across northern Romania today, admiring the beautiful rural scenery and the many quaint villages. This afternoon we reach the region of Bucovina, the home of the UNESCO World Heritage Painted Monasteries for which Romania is justly famous. Our first visit will be to Voronet, considered by many to be the “Sistine Chapel of the East”, due to its incredible frescoes painted on the west wall and a very unique Voronet Blue obtained from Lapis Lazuli. Our next two nights will be in Gura Humorului. Our day is devoted to exploring a number of the world famous Painted Monasteries. First, we will visit Humor, a monastery which was only reopened in 1993 and founded in 1523. Humor is noted for its exceptional frescoes and its tranquil setting by the Humor River. Next is Moldovita, founded in 1532. Prior to the current structure, there was a fortified stone church erected by Alexander the Kind-Hearted between 1402-1410. Built on safer ground in the valley of the Moldovita River, the monastery consists of a quadrangular structure with fortified towers, thick walls and a brawny gate and a magnificent painted church inside. Sucevita Monastery, the most recent construction, is the largest and finest of the painted monasteries of Bucovina. ‘A Poem in Green and Light’, it has thousands of painted images on a background of emerald green. The fortress legacy of these mountain monasteries is nowhere clearer than inside and outside the massive walls at Sucevita. Set in a beautiful green valley, it is a square-shaped fortified citadel with watchtowers at its four corners, surrounded by a wall that is 100 meters on each side, six meters high and three meters thick. Surrounded by forests, blessed by great clay soil and the Sucevita River, the region is ideal for the production of exquisite ceramics. There is an ethnographic museum in the village where we can admire traditional costumes from Bucovina. We will also do a stop at Marginea ceramics in Sucevita, where we have the chance to experience the traditional way of making pottery in Romania. Putna Monastery is one of the most important cultural, religious and artistic centres in medieval Moldavia. Stephen the Great is famous for building dozens of churches and monasteries across Moldavia as he allegedly founded a religious edifice after each important military victory. Putna, a place of pilgrimage, houses the tombs of Stephen the Great and several of his family members. The icon veils and tombstones are held as fine examples of Moldavian art from Stephen’s time. Start the day with a walking tour of Iasi, where we will see the “3 Ierarhi Church”. We then travel towards Chisinau, crossing the border into the republic of Moldova. Our drive takes us through some rugged landscapes. En route we will discover the beauty of Capriana, one of the country’s oldest monasteries. Founded in the 15th century by Alexander the Good, it has Moldova’s largest convent library. This afternoon we are in Chisinau, the capital of the Republic of Moldova. Modern and friendly, the city boasts delightful green spaces and classic architecture. Close by our hotel is the Ştefan cel Mare Central Park and the World War II Memorial. Dinner will be at Salcioara, a traditional Moldovan Restaurant. Enjoy a brief walking tour of Chisinau city centre, where we will see the city Cathedral, the Moldovan Arch of Triumph, the Statue of Stephen the Great and more. We continue to Cricova and the second largest underground wine cellars in the world. Our visit will introduce us to a very small part of the underground galleries which extend over 100km and where they produce, age and store sparkling wine. After a traditional Moldovan meal in a local restaurant, we will explore the village and archeological complex of Orheiul Vechi. Overlooking the Raut River, the site features forts, baths, caves and ruins, some of which date back over 2,000 years. The local museum has relics dating back to the 10th century BC. Today we have the option to enjoy a free morning in the capital or to visit Transnistria, a country that, in reality, does not exist. This separatist region which broke away from Moldova in 1992 is located between Moldova and Ukraine. It has never been recognized by any other state, except the three other separatist regions: Nagorno-Karabakh, Abkhazia and South Ossetia. Tiraspol is the capital city, where the Soviet Union had stationed its 13th Army. Even though the military has all but gone, travelling here is like stepping back in time to communist Russia. At Kvint Factory, they have been making top-quality cognac since 1897. We shall stop there for a small taste. Back in Chisinau there will be time to fresh up for our Farewell Dinner at a very nice Moldovan Restaurant. All too soon our journey draws to a close as we catch our flights back to Canada. Tour price is based on sharing a twin-bedded room at hotels. Prices are based on a minimum 20 members and on rates, taxes and fees effective August 2018 and are subject to change due to factors beyond our control. Group to be escorted with a minimum of 20 travellers. Airfares from other gateways are available on request. Airfares and air carriers are subject to change and will be confirmed prior to final payment. Refer to inclusive features for details. Preliminary Air Pricing: Air inclusive prices are estimated and subject to change. Final pricing will be published, and booked passengers notified, when air is available. Prices DO NOT INCLUDE the cost of insurance which is available and is highly recommended. Premiums vary with the cost, length of the trip, and the traveller’s age. For passengers up to and including 74 years on departure date, premiums will range from $211 to $314 pp plus applicable taxes. Cost supplements for travellers aged 75-85 will range from $177 to $355 pp plus applicable taxes. This insurance is effective from the date of purchase and carries limitations on pre-existing medical conditions. Clients 86 years and older and/or clients residing outside Ontario - please contact our staff for procedures. Please discuss your insurance coverage prior to booking. Refer to our Terms and Conditions for more information.